A Multifunctional Portable Lounger/mini cot with removable mattress that adapts to the child’s age and size. 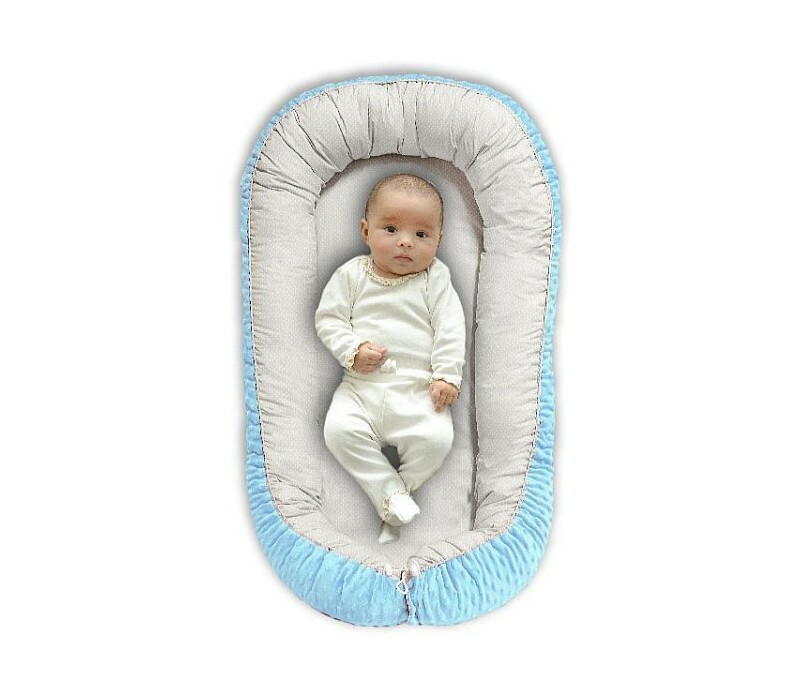 The ‘cocoon’ is intended for infants from birth to about 6 months of age. All you need to do is untighten a cord and then can be used by older children. Parents’ bed - sleep comfortably with no fear that you might crush your baby / can also be used as a place to safely relax the baby. 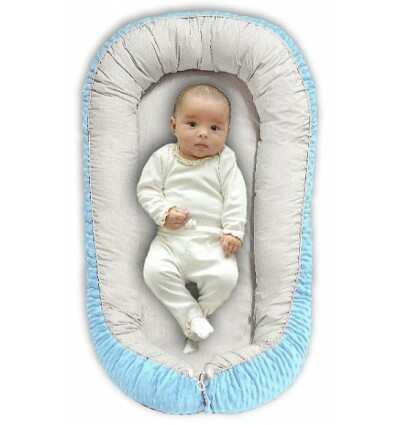 In a crib - place the MimiNu cocoon lounger inside a crib to help your little one go to sleep with warmth and comfort. Removable mattress that insulates against cold and uneven ground. The socket can be machine washed, 30 degrees, max 800 revolutions. Do not iron the MINKY page. Dimensions in the extended position: width - 66 cm, length - 105 cm. Dimensions in the related position: width - 55 cm, length - 90 cm. The dimensions of the mattress: width 33 cm, length 73 cm.